A year or so ago I tweeted about how awful my skin was, when Sanctuary Spa very kindly got in touch and offered to send me their 5 Minute Thermal Detox Mask, of course I accepted!! Since then I’ve been meaning to review it, and I have finally got round to it! Side note, this is my first proper attend of a flat lay photo – how am I doing?! I don’t know what it is, but there’s something I love amount Clay or Mud masks and this is no exception! 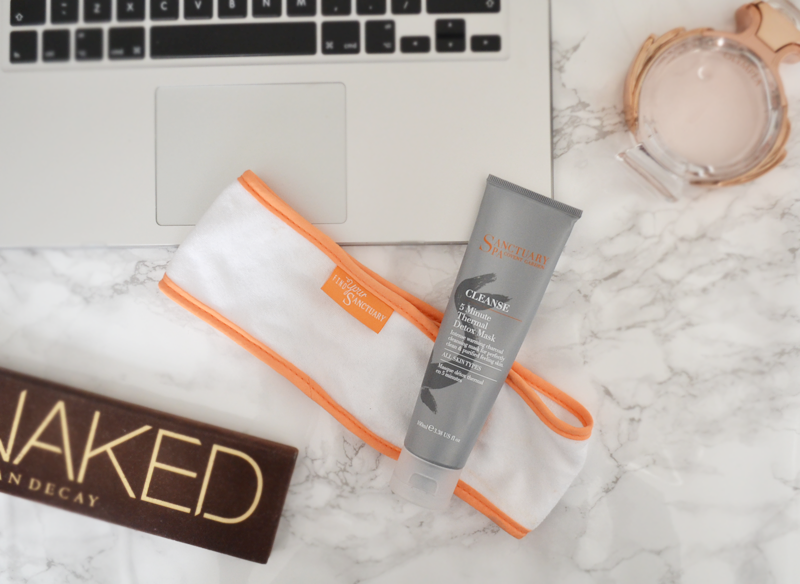 The texture of this mask is fairly thick which I love, and you can definitely feel the heating effect when you put it on! It seems to work brilliantly on my oily-type skin, pulling out all the impurities I have. It’s not a pain to remove, I use a bit of warm water with a flannel, and afterwards my skin feels smooth and refreshed! I would definitely recommend this to anyone with combination or oily skin to use once a week to give your skin a bit of a lift up!